Dodo Lashes- Use code "littlemissnati" for 5% off your entire purchase here! My Beauty Addiction- Use code "NATI15" (all caps) for 15% off your entire purchase here! NAILHUR- Use code "NATI" for 10% off your entire purchase here! LIPLAND- Use code "NATI" for 25% off most lippies here! SIGMA BEAUTY- Use code "SIGMA2017" for 10% off here! 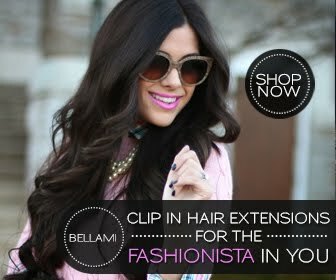 Bellami Hair Extensions Use code "NATALIA" for $5 off all hair extensions here! Black Hair: I currently wear the BOO-GATTI 340g set in "Jet Black" for my black hair. Red Hair: I wear the Lilly Hair in Ash Brown 260g and custom color the hair Garnet Red. Learn how to get this beautiful shade at home here.